Size: -- Choose Size -- Waist: 30"-32" Waist: 33"-35" Waist: 34"-38" Waist: 36"-38"
This classic belt is handmade from cowhide leather. It works perfect with casual attire at work, home or on travel. 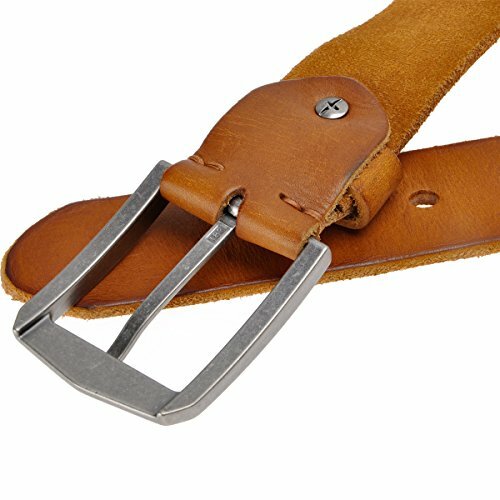 With single-prong buckle, it is very easy to use. Packed in our ZLYC gift bag. 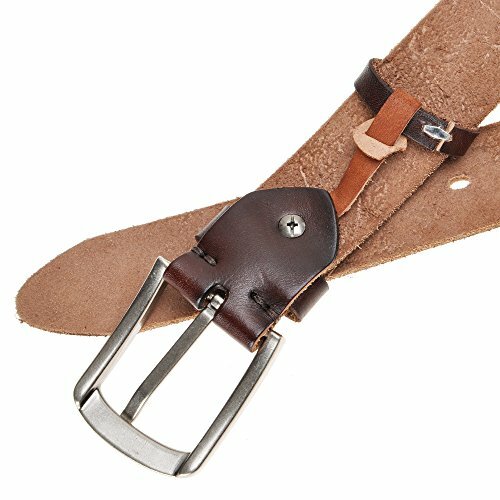 We take great pride in our craft and infuse passion and vitality into every facet of their truly unique and fashionable line of belts other accessories. 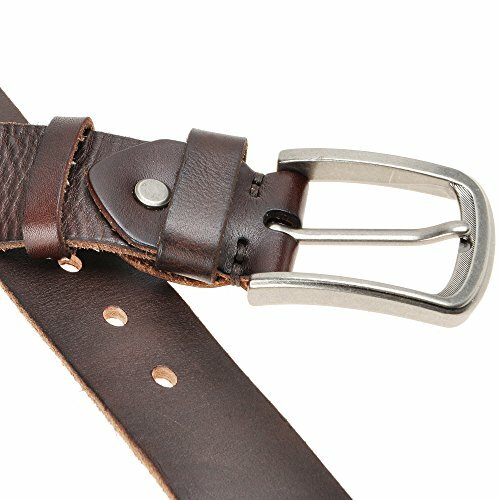 High quality cowhide leather belt. 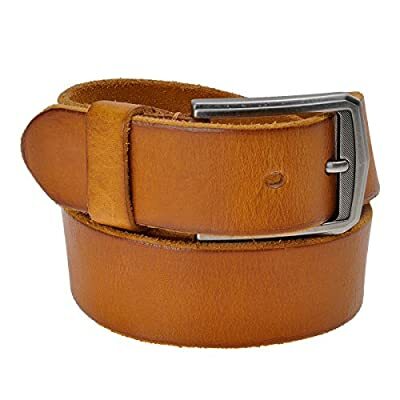 It will look better after a long time use 1.25"/36mm wide strap. 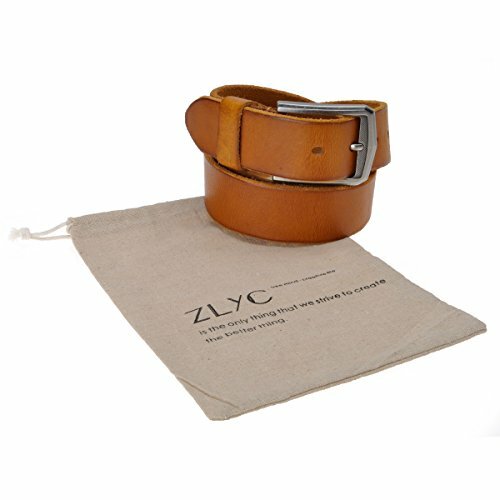 Please measure your waist and choose the right belt for you This handmade classic belt works perfect with casual attire at work, home or on travel; with sturdy single-prong alloy buckle, it is very easy to use Packed well in our ZLYC gift bag; Be ready to be given as a gift for father, husband, boyfriend or son Note: Materials are well-chosen pure leather,and it is not processed too much, so there might be more or less natural texture on the leather surface. If it concerns you, please consider not purchasing.